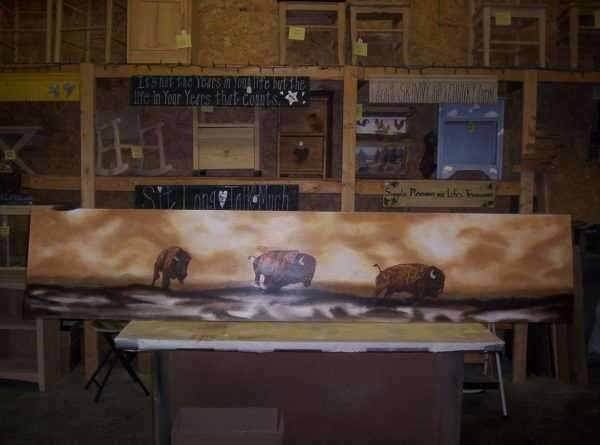 Had some clients who have a hunting lodge outside of Pierre SD. 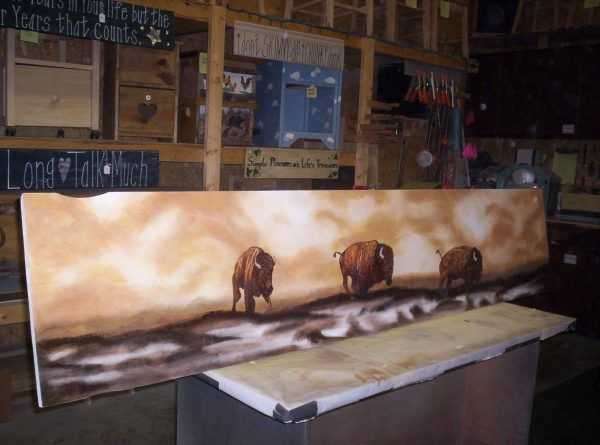 They had a bar area that had a blank wall between the lower and upper cabinets. They wanted a custom piece made that would fit in that space. 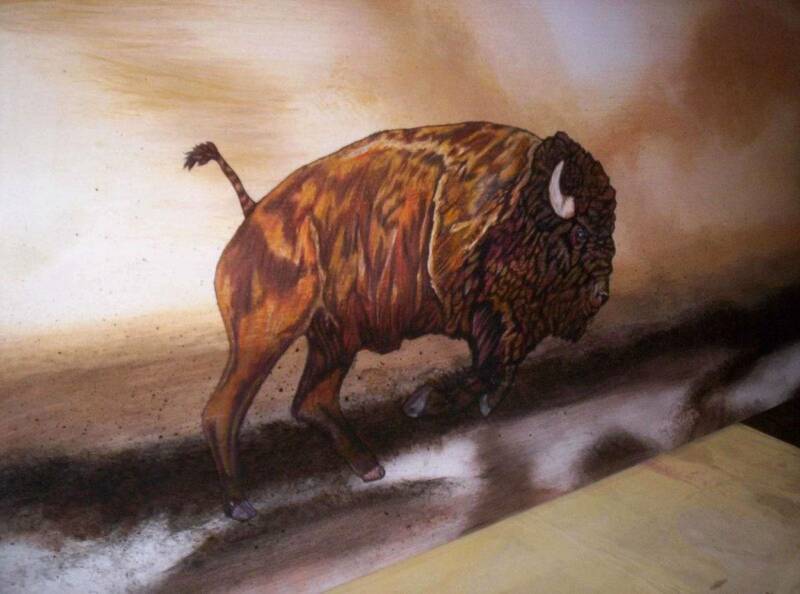 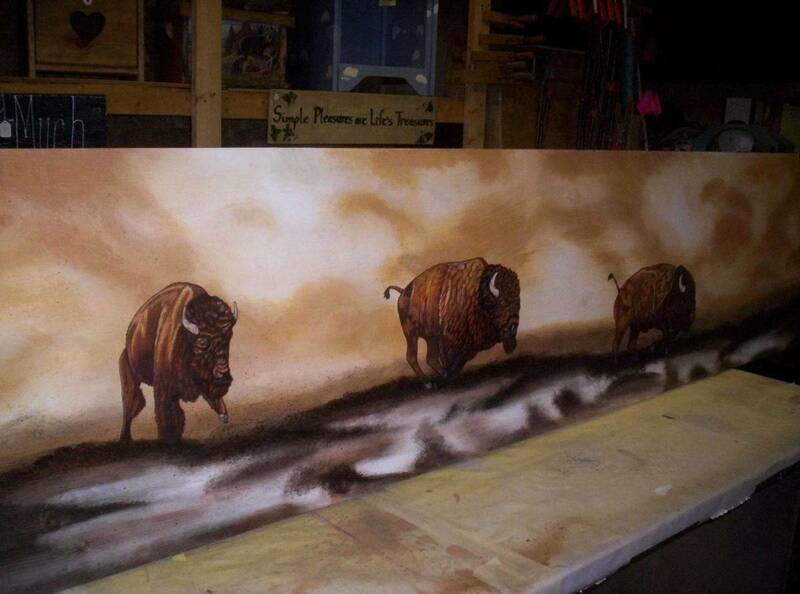 So we cut a piece of pine to fit and then I painted this scene of a buffalo stampede on it. They absolutely loved it.